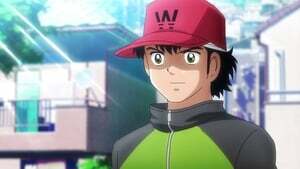 The former Brazilian professional soccer player Roberto Hongo started free-loading in Tsubasa’s house. 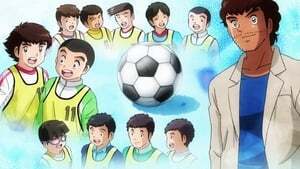 He also declared himself the trainer of the Nankatsu elementary school soccer club and told Tsubasa he has a ‘thank you present’. It turns out it was a practice game against Nishigaoka elementary school. 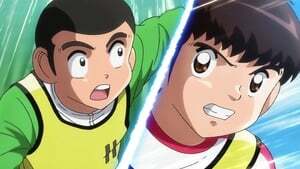 They start to boast about how they once won with 30 points difference against Nankatsu, just like Shutetsu did, which leaves Tsubasa, Ishizaki and the others determined to play to their full power. 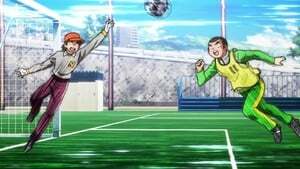 That’s where the new Nankatsu Elementary School Soccer Club starts!